Today’s gift selection from I71 delivery & pick-up fave Dope City Supreme! For those looking for true potency, ask about their Blackberry Kush and Bruce Banner gifts. 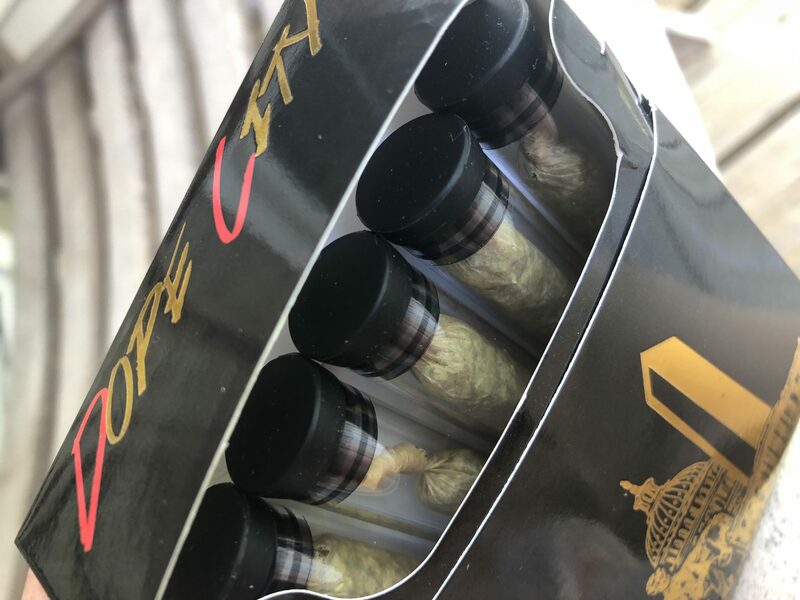 You should probably pick up one of Dope City’s DC 5 Pack of prerolled joints, too, don’t you think? I always like to have some walking-around spliffs on me, JIC. Speaking of! Did you know that DC recently changed the laws regarding public cannabis consumption? It’s still not allowed, but if you get caught, most adults (read the article for exceptions) will receive a citation instead of getting arrested now. Progress, baby! Check out my News page for all your 411 about 420 in the DMV. Now that’s smooooth. DC, Delivery, Dope City Supreme, Flowers, Now Available, Pick-Up, Recreational. Bookmark.